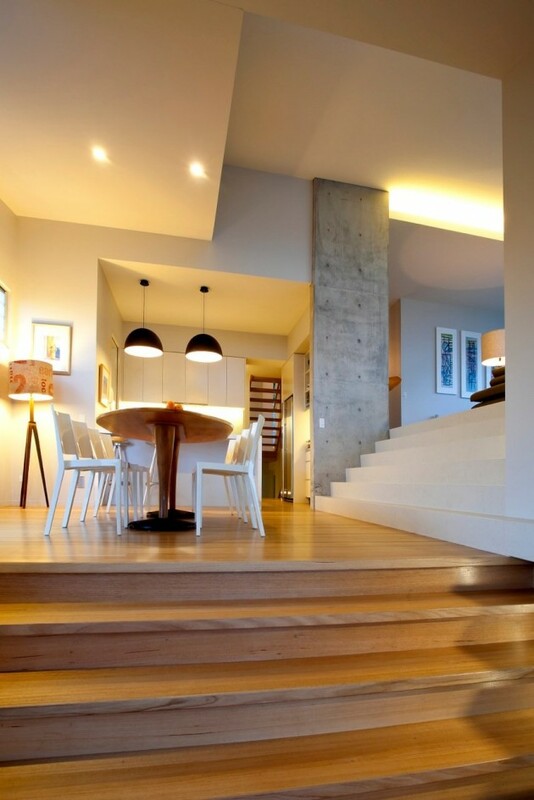 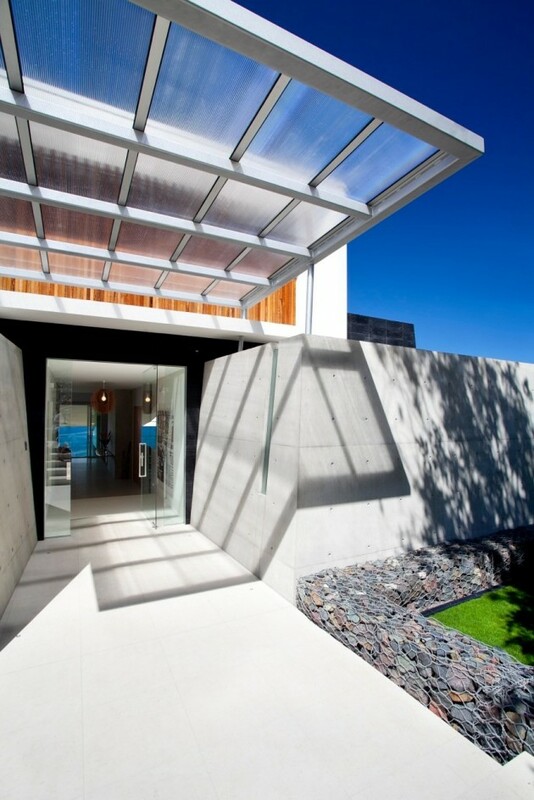 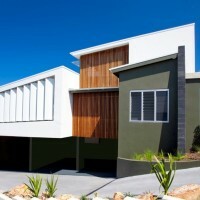 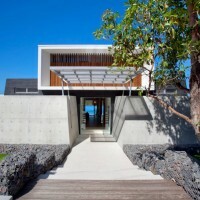 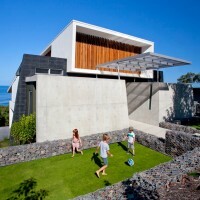 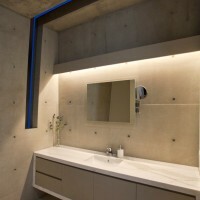 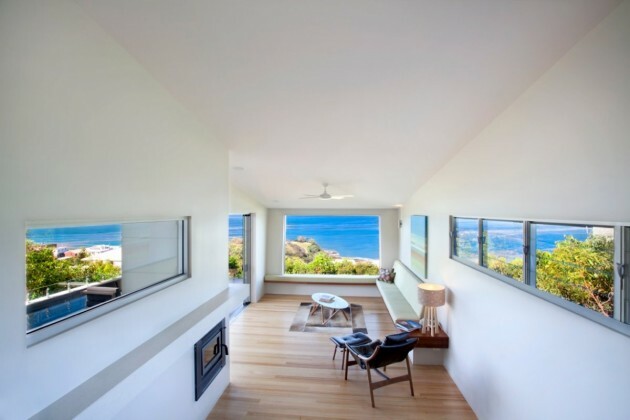 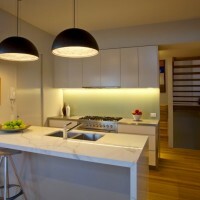 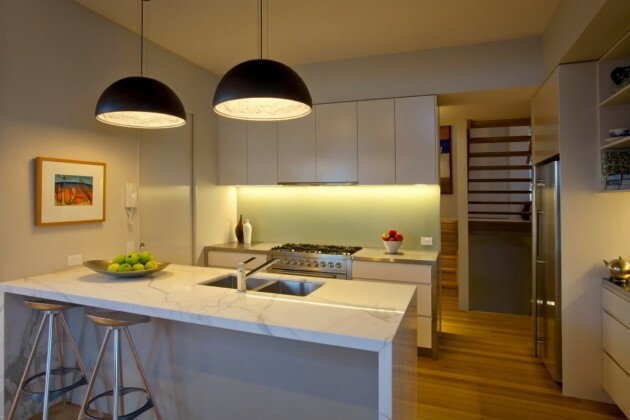 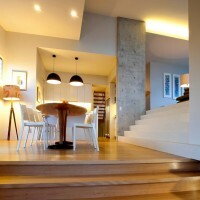 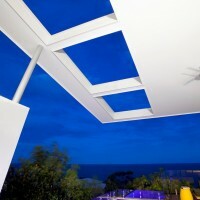 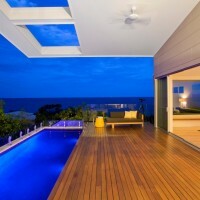 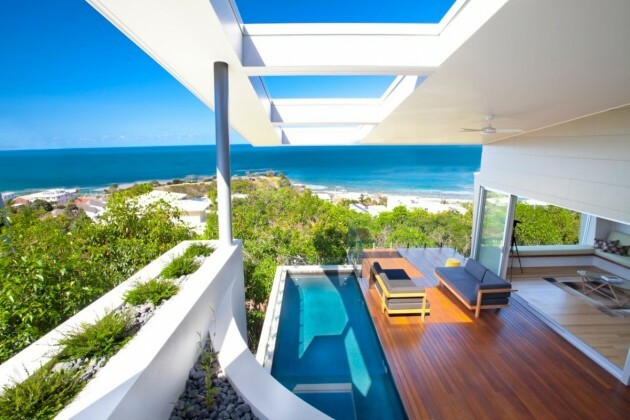 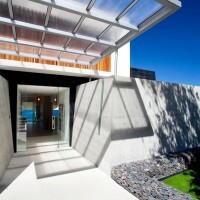 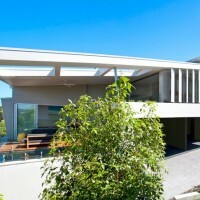 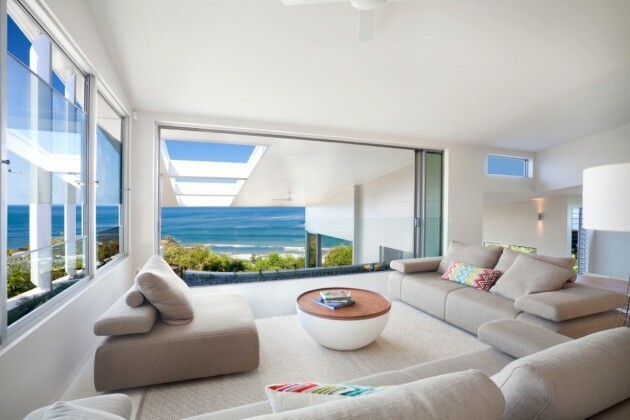 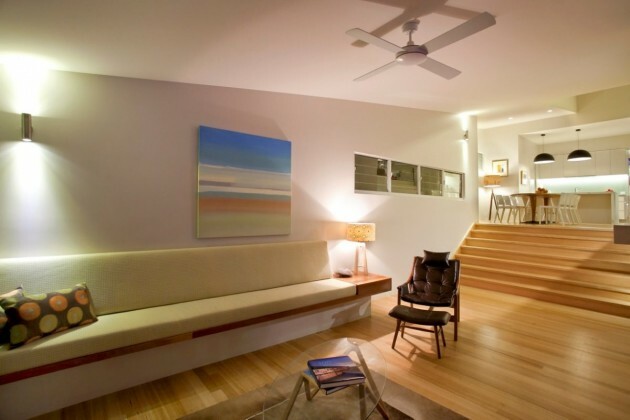 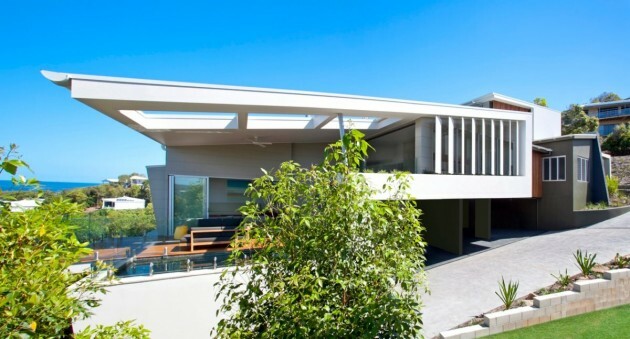 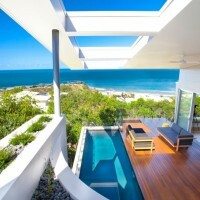 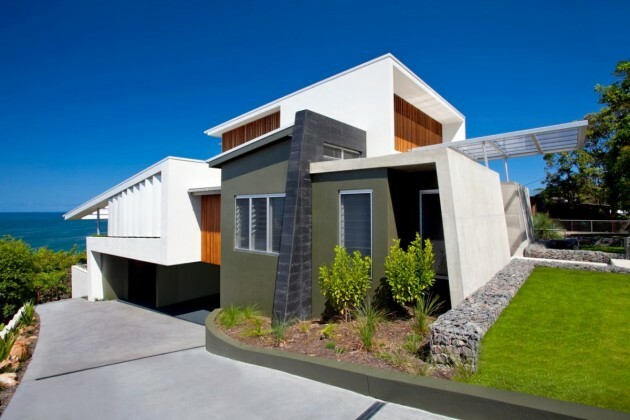 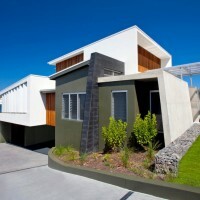 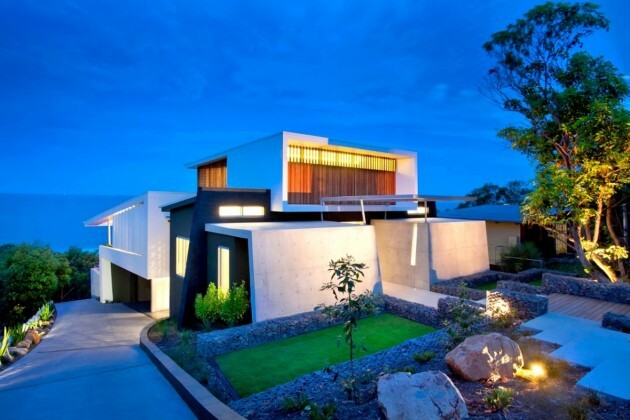 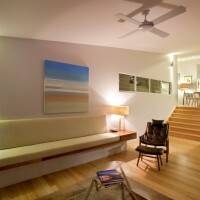 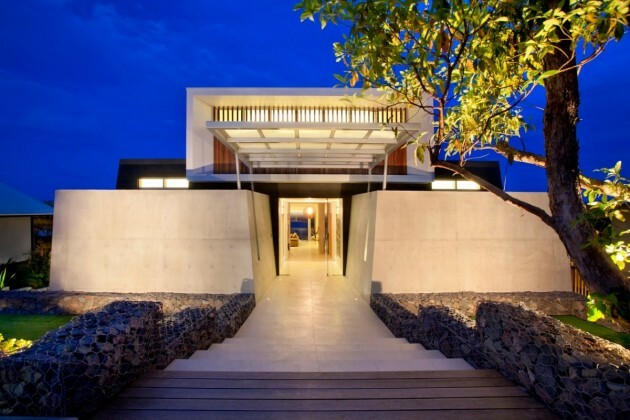 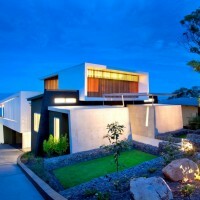 Aboda Design Group have designed the Coolum Bays Beach House in Queensland, Australia. 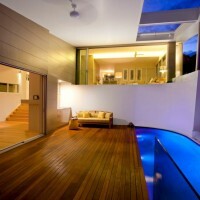 What was the owner or client brief? 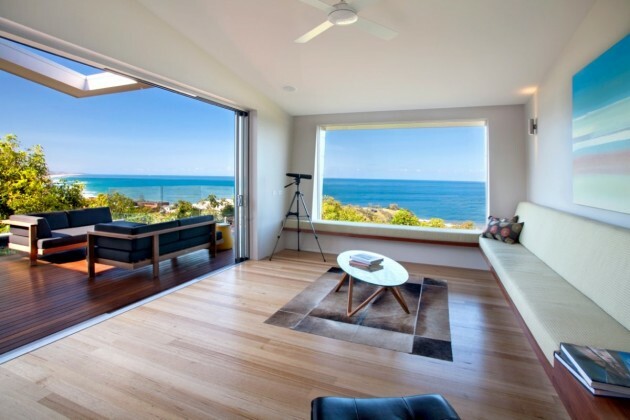 The client requested clean, simple, durable, generally low maintenance materials due to the exposure to the coastal weather, which is destructive, particularly from the south east. 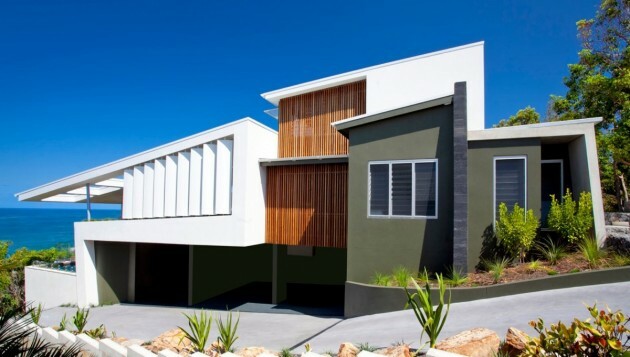 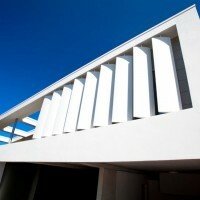 Materials selected included fibre cement cladding, polymer rendered blockwork, sealed off-form concrete, aluminium and polycarbonate feature awning, steel roofing, aluminium windows, feature tiled walls, cedar battens screens, with hardwood decking, hardwood flooring and porcelain tiles internally. 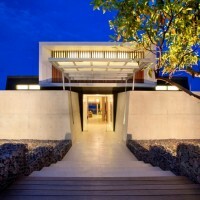 The challenges of the site, combined with the boundless enthusiasm for the project from the clients, and the known competence, commitment and skill of the clients and their team acting also as builder created an amazing opportunity to work unwaveringly together to realise an adventurous but very comfortable home, to the delight of the designers, the clients and their family.